The European Research Council (ERC) on Wednesday announced the winners of the ERC Consolidator Grants, a €630 million pot awarded to Europe's top scholars. 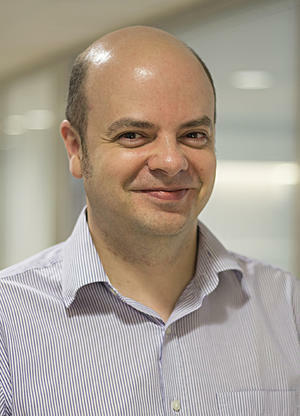 Among the 329 recipients is Andrew Teale, assistant professor of theoretical chemistry at the University of Nottingham, who this year is participating in the CAS project Molecules in Extreme Environments. 'It’s great news,' Teale said. 'I am very grateful to the ERC. This grant really gives me the opportunity to substantially grow my group. Consolidator Grants are awarded to scholars with 'a scientific track record showing great promise,' and are meant to give the scholars a 'chance to have far-reaching impact on science and beyond,' the ERC said in the announcement. Teale's grant application, titled 'A topological approach to electron correlation in density-functional theories,' was one of only 13 percent of proposals that will be funded.